On January 11, 2005 (what later become fondly known as J21 within Envision Halifax), I walked into a day long community gathering hosted by Envision Halifax, along with more than 100 other people, at St. Matthew’s Church Hall on Barrington Street, and my life and the way I work were forever changed. And, more than that, a movement began, sparked by a mission to “ignite a culture of civic engagement”. 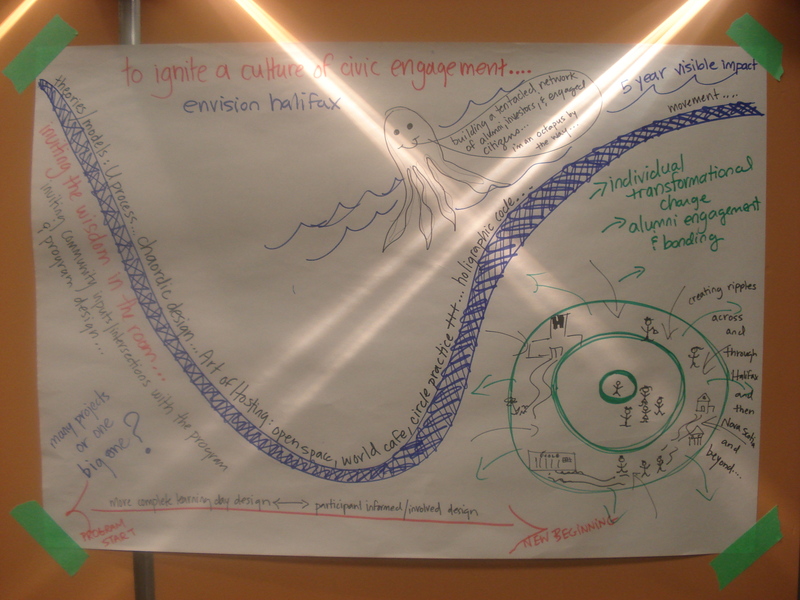 A visual depicting the Envision Halifax Leadership Journey – 2007 – which used Theory U as the journey and Art of Hosting as the “operating system”. I had cause to think of that moment earlier this week when I walked into the new public library in Halifax for the Stepping Up Conference (#StepUpNS) hosted by Engage Nova Scotia, along with more than 350 other people in Halifax, even more gathered at 10 other locations in the province with an additional 500 or more people at their own computer screens following the live streaming. A decade ago it was Envision Halifax. Something new and meaningful was sparked. Then a sabbatical to check back in with need, purpose and approach, some work in the background and the emergence of Engage Nova Scotia as a next iteration ~ different, stronger and with greater reach. 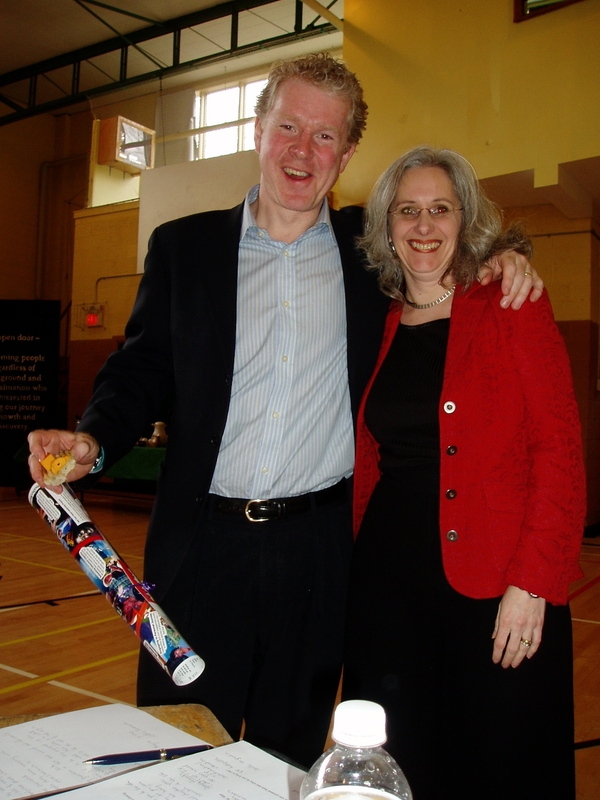 Danny Graham and Kathy Jourdain at an Envision Halifax public gathering where project teams shared what they were working on in that year (2007). During the Envision days, Danny Graham and I had a chat about whether we were just “preaching to the choir” as many liked to say or was it something more? Maybe it was preaching to the choir, but I wondered then and I wonder now, is that so bad? Is that not a good starting place? I thought about this because I overheard someone remark at the Stepping Up conference that “we are only preaching to the converted”, since that is who shows up. That may be. But something happened over a decade to grow the number of “converted” in this province by at least 15 fold and probably more. 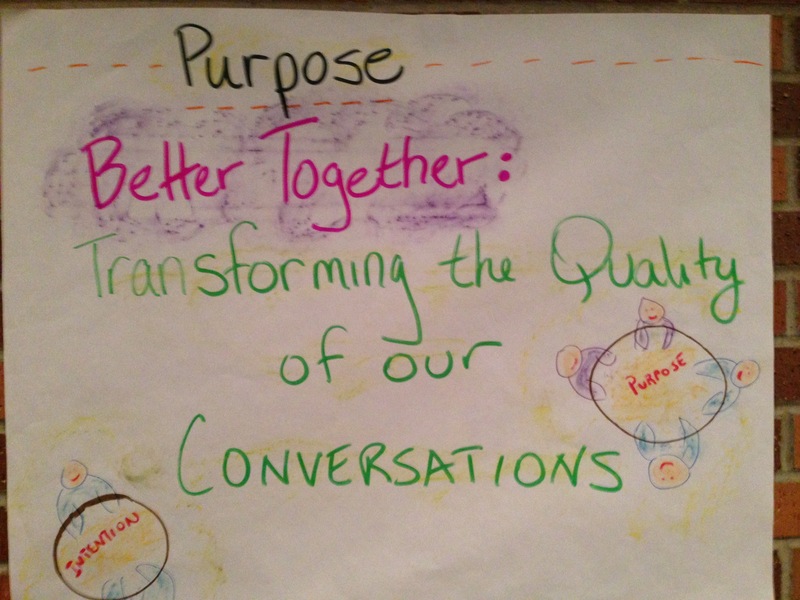 I was honoured to facilitate the group conversation focused on a new attitude. There were many gems of wisdom in that conversation including: expand your own bubble and do more of what you can, ignore naysayers and time how long it can take you to shift a negative conversation into a positive one. These gems are reflective of “new attitudes” sparking all over the province as individuals recognize their own circles of influence and focus their attention on what they can do and impact. What struck me in a deep and meaningful way, reflecting over a decade is – more. More people in Nova Scotia are paying attention. More people are asking questions. More people are longing for a future that looks different than the past. More people are Stepping Up. And that is a very exciting ongoing evolution over just one short decade of quiet but growing change in and across our beautiful little province. You will always feel the way you always felt. You will always think the way you always thought. You will always do what you’ve always done. Well, in Nova Scotia, if you stop a moment to reflect, it is clear that beliefs, feelings, thoughts and actions are changing. Thank you Nova Scotia, thank you Engage and thank you to everyone who played, and continues to play, a role in changing the future in the place I am delighted to call home. It is always a pleasure to share Art of Hosting success stories. This comes from Angie Benz who attended an AoH training in Bismarck, North Dakota in November 2014. The AoH training was supported by the North Dakota League of Cities and the Bush Foundation, co-hosted by Jerry Nagel and me. I wanted to share a success story. 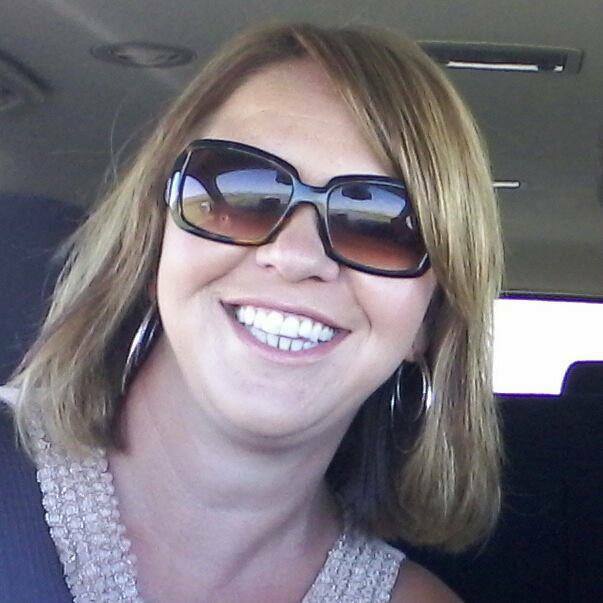 After taking your AoH class in Bismarck I was so moved and excited. I knew these were principles that I wanted to implement, I just didn’t know where or how. Fast forward to last week. I am a director for our local grocery store board and we have been struggling to say the least! Our sales were 15% down from 2013. Our manager, understandably, was a bit disgruntled. The board members, myself included, had checked out. And the worst part…this was all being seen by the community. Then I remembered the principles taught at AoH! We started out slowly……and grew into something bigger…….and I am hoping that we keep growing! 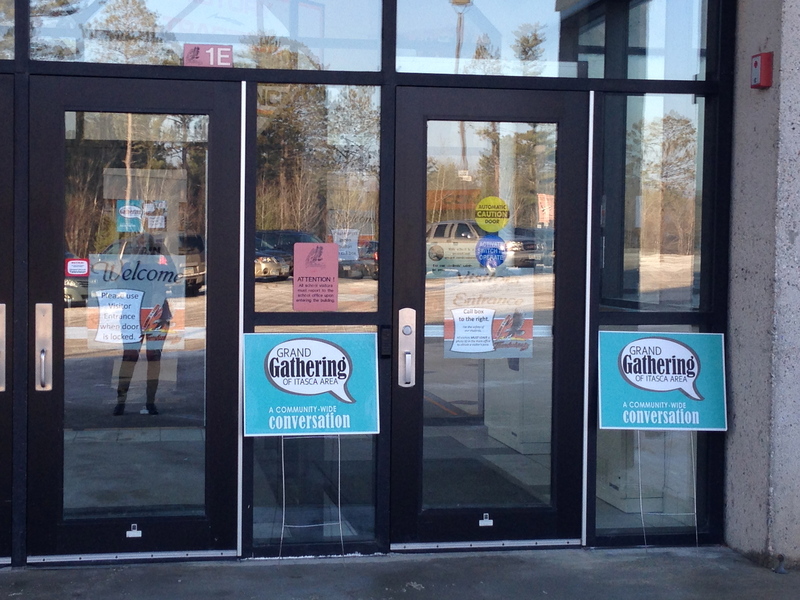 Is the store important to YOU to have in YOUR community? Is it important enough to YOU that YOU are willing to pay a little higher price for groceries? The responses were a resounding YES to both and we knew we had work to do. We restructured our management team, creating a co-manager position with two people that will do great things together. Then we had a planning meeting. Everyone was dreading it! I sent out an email inviting the management team and the board directors. I gave them some ideas of what would happen that day. Then, I shocked them all by asking them to bring something that represents their journey with the grocery store….and I left it at that. (Enter the sound of silence from the group.) It was so loud that I could “hear” it through email. The day of the meeting we started out with Check In using a circle setting. It was AMAZING! There was emotion, meaning, and most importantly….understanding. Understanding of all the frustrations we faced in 2014. We were letting go of the past and moving towards the future with understanding of each other and our journey. We then moved into a variation of Open Space. There were only 6 of us, so we used it more as a brain storming session. At the end of it, one of the board directors made the comment that they thought we would have about 3 ideas…..we ended up with about 50! Then it was time for us to get a little more specific. We came up with action plans and timelines for the top 5 ideas/topics. We will meet monthly to analyze and assess the top 5 and beyond. To end the day, we did Check Out in a circle setting. Again, there was emotion, meaning, and understanding. There was also a sense of team….something that had been missing in the last year. I said it before and I will say it again….it was AMAZING! When everyone came and saw the circle they were a little put off and thought I was nuts. I just asked them to hang in there with me. They did and the results were incredible! We left the meeting feeling more like a team than we have in a very long time. I want to thank you for showing me that there is a way that a group of people with different worldviews can come together and be a cohesive unit! You very well may have given me the tools to keep our small town grocery store alive! As our work with worldview continues, Jerry Nagel and I, and other friends and colleagues we are evolving this work with, have been reflecting on what it means to be worldview aware, wondering if awareness is enough. We imagine it is a step, albeit an important one. Awareness in and of itself can be expansive, turning judgment or assumption into generosity and curiosity. And then what? 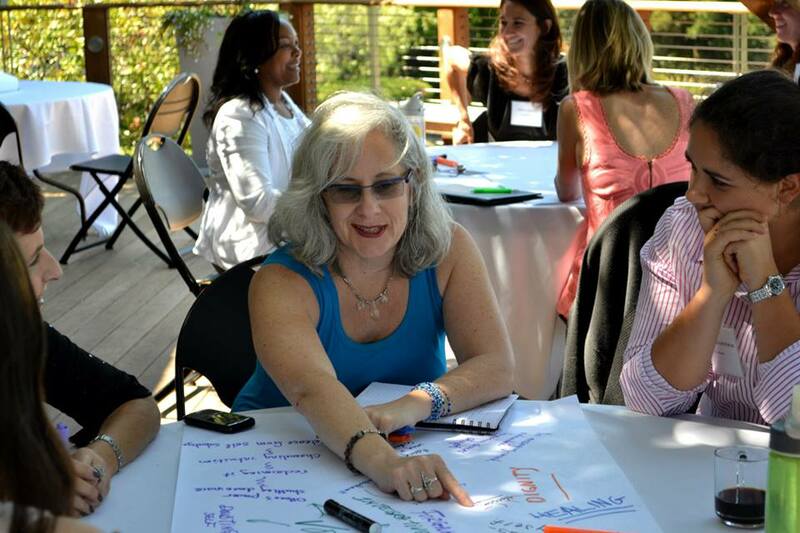 What does it take to create the transformative spaces we have been witnessing with this work? It takes practices, skills and a wee bit of courage too. In was in the spirit of this wondering that the term Worldview Intelligence arose along with the curiosity of what it means; generating the working definitions that follow. Having just wrapped up a two day workshop in Minnesota on Worldview Intelligence, a significant thread of conversation was application. 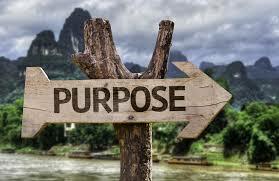 How do we take what we are learning and experiencing and bring it to life in personal practice and in the way we approach our work, in the practices of our organizations? Transforming differences into progress. We have built and are prototyping a number of frameworks that help us and workshop participants see intervention and application points. The exercises invite skill building – on the spot and afterwards in the work. The response has been thoughtful and transformative as people are seeing when and how to apply what they are learning and understanding that the quality of the messenger is as important as the message – maybe even more so when the messenger embodies the qualities and practices of worldview intelligence. 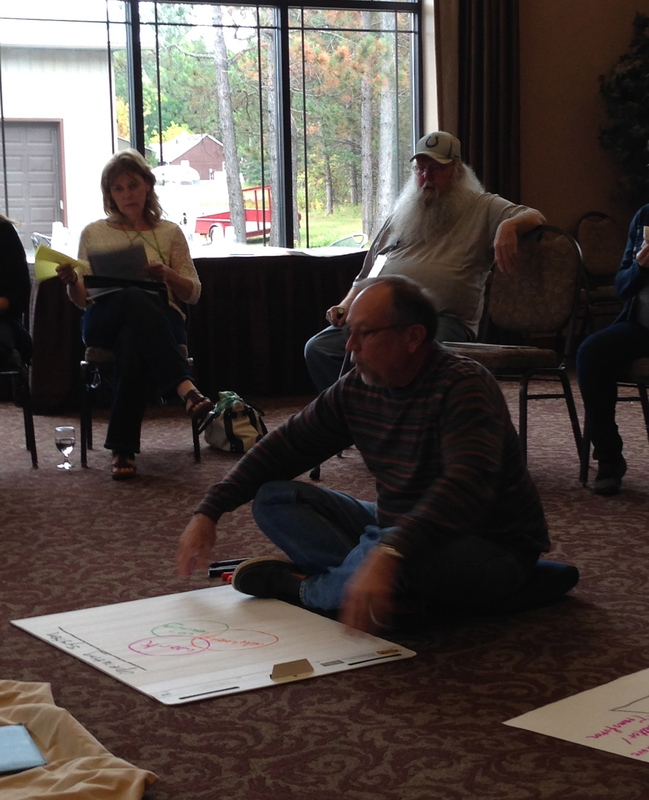 We have been working with worldview for a few years now, in the Art of Hosting trainings we have been delivering and other venues. What we learned there showed us the need for deeper dives into worldview and the identification and development of skills and intelligence that can impact even our most challenging situations. We will share what we are learning as we go and as we have time to digest the depth of experience created that invites people to show up in the fullness of their humanity – for some, the first time they have ever felt so fully invited.